As a family we love to read, both individually and together at bedtime, and we have enough books between us to open a small bookshop. 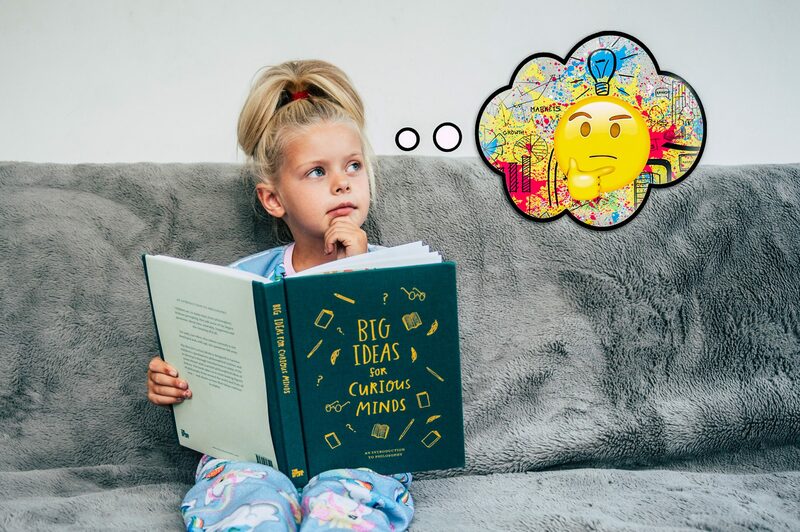 So when we were approached to review Big Ideas For Curious Minds: An Introduction To Philosophy from The School of Life, I was intrigued. The book is described as: Accessible philosophy for children; a collection of important concepts from 25 famous thinkers, contextualised in relatable everyday scenarios with illustrations and exercises. When the book arrived and I had a quick glance through it, my immediate reaction was that it was far too old for my children. And yet when I took the time to start reading, and to admire the beautiful illustrations, I found myself still sat there, an hour later, realising that this was exactly the kind of book I want each of my children to read as they grow. The idea of teaching our children about philosophy is often not something we would even consider, assuming that it was an adult concept, and far too complicated for little ones to understand. In reality, children are born philosophers asking, without prompting, some of the largest questions: about time, mortality, happiness and the meaning of it all. Yet sadly, too often, this inborn curiosity is not developed and with age, the questions fall away. 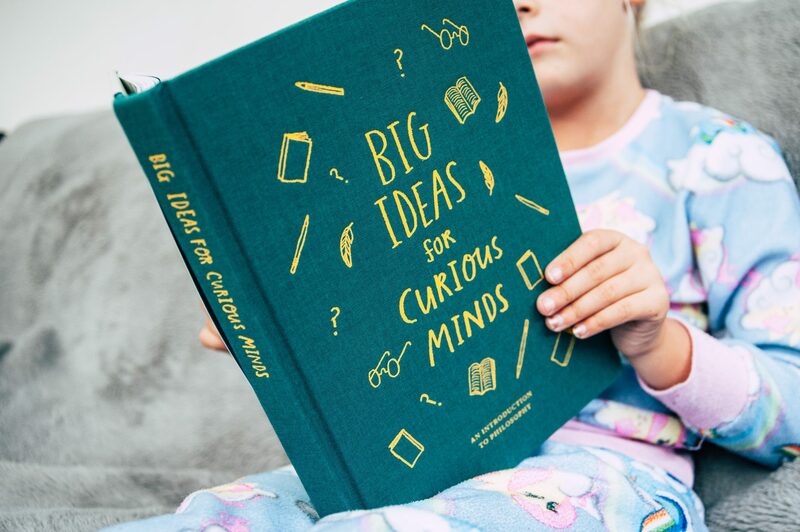 And this is where Big Ideas For Curious Minds comes in, designed to encourage each child’s spontaneous philosophical instinct and to develop it through the introduction of the the most vibrant and essential philosophical ideas of history. The book itself is genius with an introduction to leading figures of philosophy from around the world from all eras. Along side that there are chapters teaching our children crucial lessons about life, about love, and about loss. 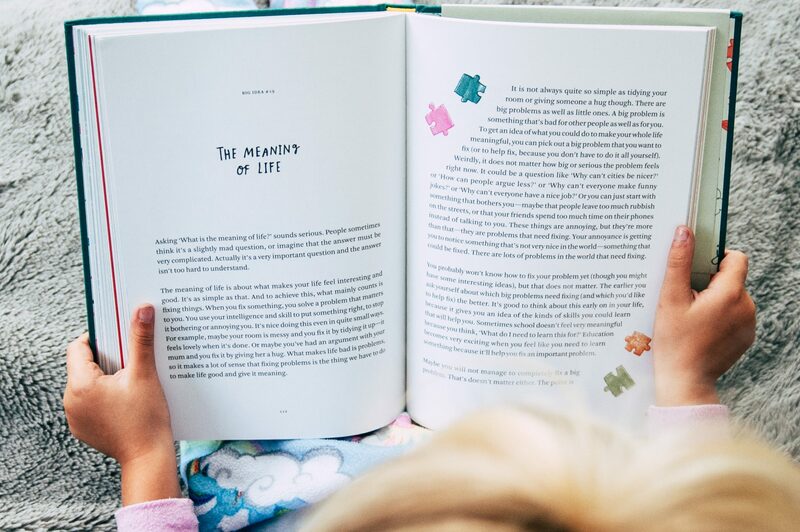 Topics such as ‘Why you feel lonely’, ‘Politeness matters’, ‘People are unhappy not mean’, and ‘The mind-body problem’ offer invaluable insights into philosophy in a way that our children can really get on board with. 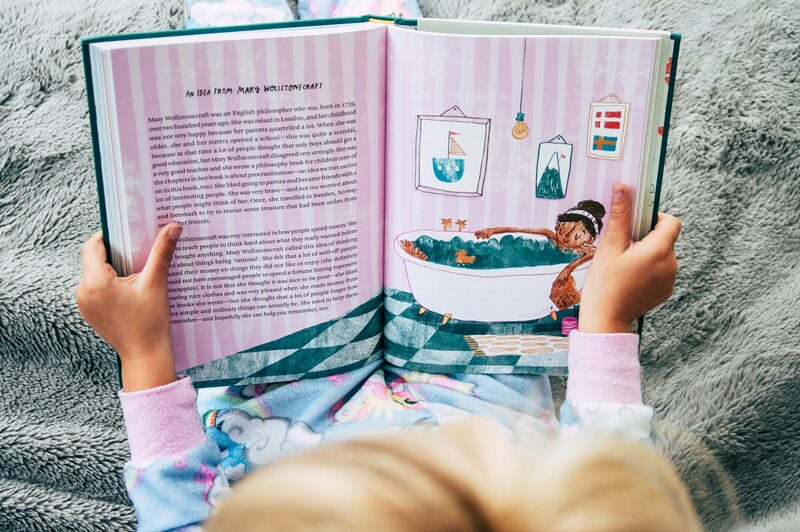 I love that the book also functions as a way to open up conversations between adults and children, and that was certainly the case for us. 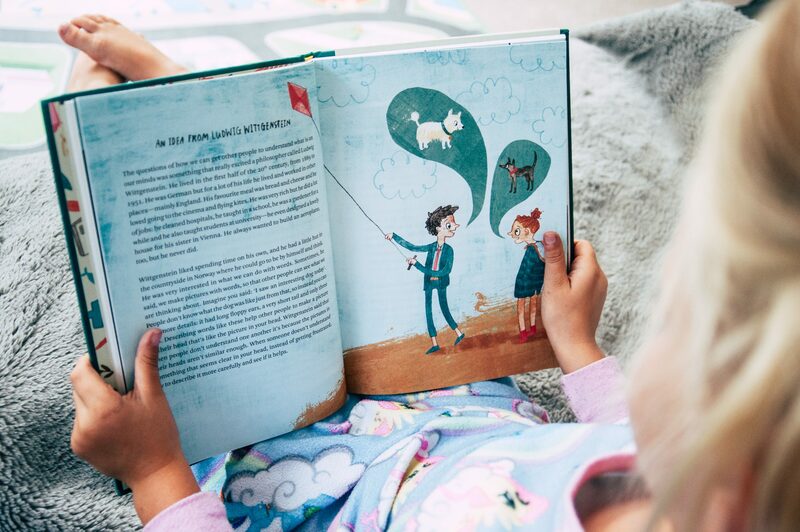 Last week Eva and I took some time to read the book together, discussing leading figures such as Ralph Waldo Emerson (my all time favourite philosopher! ), Buddha, and Albert Camus, and speaking about topics such as politeness, loneliness, and the meaning of life. It actually blew my mind that, at just six years old, Eva is so switched on, so eager to learn, and so open to embracing philosophy in her life. And as parents, who only want the best for their children, I think that philosophy is an amazing way to prepare our children for what lies ahead, even at a very young age when they are still blissfully unaware that life will have many twists and turns as they grow. I think if ever there was a way to explain philosophy to our children, that right there is a perfect start. Big Ideas For Curious Minds: An Introduction To Philosophy, is available from all good book shops and on-line stores with a RRP of £18. Buy your copy here. Previous Post: « A Discovery Of Witches – Will You Be Watching? What a gorgeous looking book! I love the illustrations. I would also probably have though this was too advanced for my kids, so great to know it’s one you can read to them. Oh I love the sound of this book! I fear my children might be a bit too old at 11 and 14 but it sounds wonderful for introducing tricky concepts to younger children. The book looks very interesting. I would love this for the kids. Will check it out. I love the sound of this book. There’s some great books out there at the moment to encourage kids to think outside the box and I think it’s great. Wow, bet I would love this book – am I too old for it?! Love the colour of the cover too! This sounds like a great book. It love that it encourages conversations between parents and children.